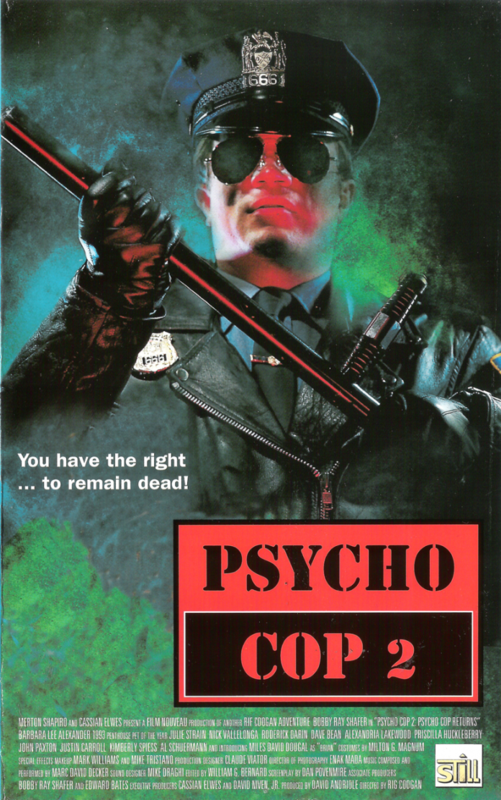 There’s nary a black person in Psycho Cop Returns, but I was amused by a scene near the end of the film in which said psycho cop (Bobby Ray Shafer) catches up with “final girl” — i.e., the one who never gets naked — Sharon (Barbara Niven) on a city street in the middle of the night. He starts beating the crap out of her, which draws the attention of some bar patrons of varied racial backgrounds, who grab bats and run out to defend the gal. 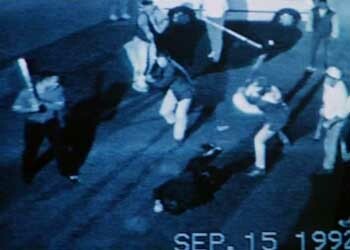 They begin pummeling the cop in an inverted homage to the Rodney King incident. (A guy with a camcorder even shows up to video tape it.) An inspired moment in an otherwise uninspired slasher. The LAPD has a zero-tolerance policy on jaywalking. The Girl Scouts’ collection tactics have rarely been documented.